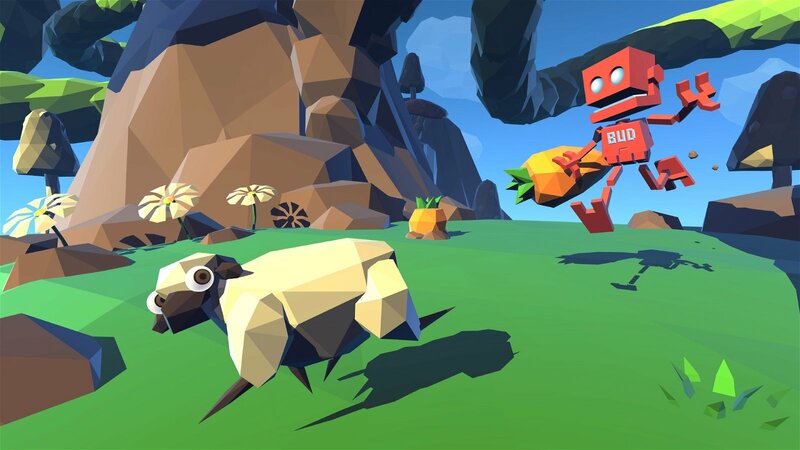 There isn’t an awful lot to do in Ubisoft Reflections’ Grow Home. As B.U.D., a floppy-limbed red robot tasked with helping a giant plant flourish, the player simply jumps and climbs, going higher and higher. The goal is to raise the stalks of the plant until it can reach a spaceship hovering in orbit and supply it with power. Once this has been accomplished (through a few hours of clambering upward and guiding new branches on their ascent) the game is finished. B.U.D.’s mission is complete and the player likely feels satisfied, even though all they’ve done is performed the same actions over and over again. This isn’t meant to be a back-handed compliment of Grow Home—its few hours are really a lot of fun—but a testament to the power of a simple, well-crafted game mechanic. Though it offers a few collectable items to hunt down and non-essential upgrades to unlock, the game doesn’t need anything other than its foundational climbing and jumping movement system to make the most of its premise. As in early platformers, the player’s enjoyment comes from learning how best to control the character and using these skills to overcome obstacles and explore an interesting environment. It’s a bit surprising that Grow Home was published by Ubisoft, a company whose development teams seem to operate under a mandate to stuff as many features as possible into each of its games. Series like Assassin’s Creed and Far Cry are poster children for the modern school of design that emphasizes mechanical variety above refinement. In each of them, the foundational parkour or shooting systems are surrounded by extra features—races, hunting, crafting, etc.—designed to offer a further sense of depth. This isn’t always a bad thing—both series are good, in part, because they provide a lot of extra (often fun) things to do—but it does make the player wonder how much more interesting the games would be if their developers concentrated entirely on fully exploring their central mechanics. It can be hard to imagine an Assassin’s Creed stripped of everything but running, climbing, and sneaking through historical environments. 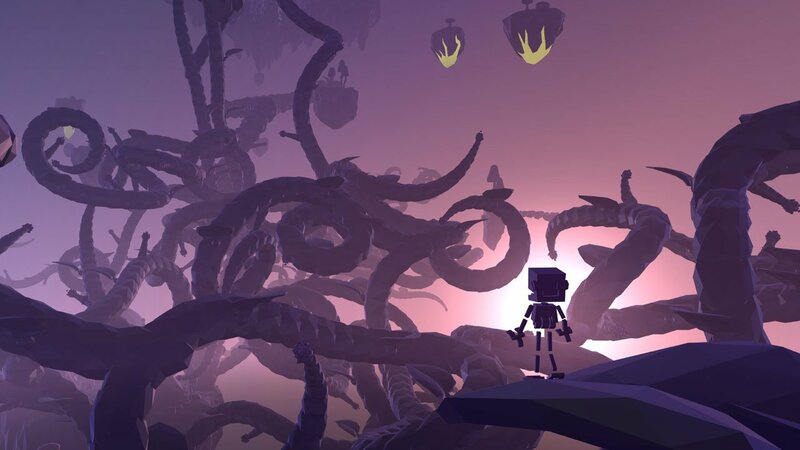 What Grow Home shows, though, is that it’s perfectly possible to offer a compelling experience without any mechanical bloat. It may be enough to give players a single method of interaction, properly conceived and refined, and design the rest of a game around fully exploring environments and challenges that fully explore its potential. 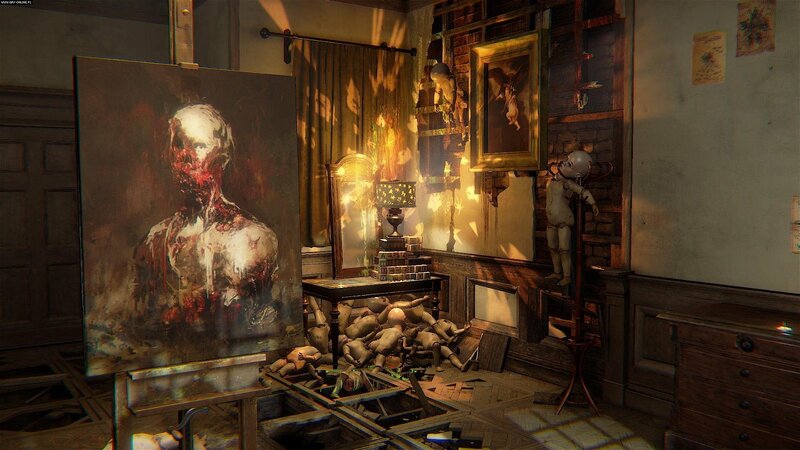 Discussing Ubisoft only hints at the larger trend toward feature creep that exists in mainstream videogames. In most big-budget titles, an emphasis is placed on mechanical breadth rather than depth. Rocksteady Studios’ latest release, Batman: Arkham Knight, does a great job iterating on the movement and fighting systems from previous games, but it also introduces Batmobile racing and car combat that distract from these improvements. Rocksteady takes away from the core mechanics of its series in favour of extra mission types revolving around something entirely different from them, likely in the interest of offering extra novelty with the Batmobile. The danger of this approach is that it dilutes the level of attention that developers are able to devote to their game’s core mechanics. While Arkham Knight clearly shows that a lot of time was spent refining Batman’s combat and movement, there’s a shortage of opportunities for players to get the most out of them during story missions. Instead, the Batmobile is used to break up the fundamental gameplay—zipping around Gotham, stealthily dispatching enemies, or engaging in full-out brawls. This means that the player doesn’t get a chance to interact with nearly as many levels (or pretty much any boss fights) designed with the core systems in mind. Even though Batmobile-focused gameplay objectives can be enjoyable in their own right, their inclusion, paradoxically, means that Arkham Knight doesn’t feel as “full” as its more refined predecessors. There’s a fine balance between mechanical repetition and variety in videogame design that can’t be easy to identify, but, the medium’s over-reliance on extensive feature lists often comes off as the result of marketing savvy rather than carefully considered design. At this point, a willingness to back away from this trend—to know when a few simple mechanics, done well, are enough—may lead to more satisfying gameplay experiences.